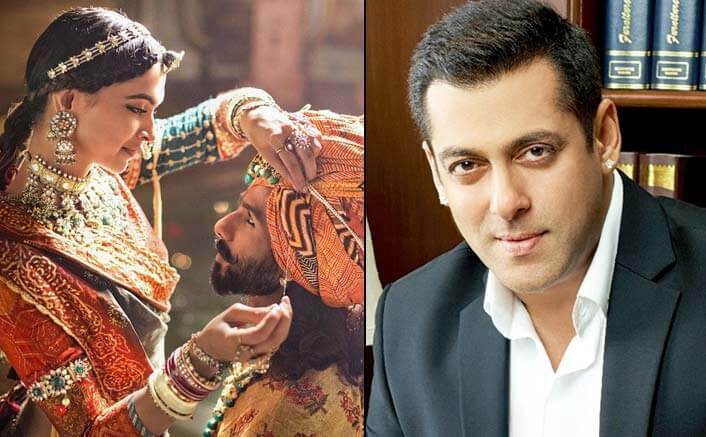 Amid the controversy surrounding Sanjay Leela Bhansali’s upcoming Padmavati, superstar Salman Khan has extended his support to the celebrated filmmaker, saying Bhansali will never show anyone in bad light. “I want to say that you have Censor Board, they will take a decision. Sanjay (Leela Bhansali) makes very beautiful and excellent films,” Salman said during an interview with news channel News18. Padmavati, slated to release on December 1, is embroiled in a controversy as some Hindu groups and political parties, including the Congress and the Bharatiya Janata Party (BJP), claim that the film distorts history and wrongly portrays Rajput queen Padmavati, a contention Bhansali has repeatedly rebuffed. Salman, who has worked with Bhansali in Khamoshi, Hum Dil Chuke Sanam and Saawariya, feels no decision should be made without watching the film. Vidyut Jammwal’s Junglee To Release On 2018 Dussehra! “Heroines look very nice and beautiful. His films never have any vulgarity. Looking at his previous track record, one should know that he will never portray any character in bad light,” he added. Padmavati features Deepika Padukone as Rani Padmavati, Ranveer Singh as Allauddin Khilji and Shahid Kapoor as Rawal Ratan Singh. The post This Is What Salman Khan Has To Say About Padmavati Controversy! appeared first on Koimoi.